TerraTrike Military Discount Program – If you are active military or a veteran with a valid military ID, bring your ID to Easy Street for a 10% discount on a TerraTrike trike. It’s so easy, even Marine Corp infantry can figure it out! We stuck this on the “wounded military” page, but you don’t have to be wounded to qualify. Operation Comfort is a non-profit organization based in San Antonio that helps wounded military who want to participate in sports. They also have an auto mechanics program. If you are a wounded warrior in the SA area and you want to check out recumbent triking (or handcycling), contact them. They have lots of equipment, much of which we provided. 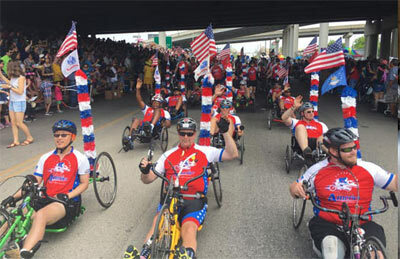 Here is the good news… if you are a wounded warrior then the VA can, and will, fork up for a recumbent trike for you. The bad news is they want proof that you are a dedicated trike rider before they’ll do so. But then how can you demonstrate your zeal for triking when you don’t actually have one? I’m sure service members are used to such Catch-22’s as this. This is where organizations like Operation Comfort are especially useful, as you can join in their cycling events to document your determined interest in cycling. Start by talking with your VA doctor, and talk with Operation Comfort. If you aren’t near San Antonio they can probably point you to someone else who can assist like they can. Come by Easy Street and check out some trikes to see what you like. As usual, we’ll ask you about what sort of triking you want to do. If you have special needs that must be met, like having all the controls on one hand, or extra foot retention, or the like, we’ll get that figured out. We’ll come up with a sales order describing what you are after. You can expect us to charge to the VA the trike itself and any gear that addresses special needs. We won’t bill them for other accessories like lights, bags, tire upgrades, and the like. Best if the price doesn’t run past $3500, as there is a cut-off point at which requests need to be submitted to someone in Washington DC and the whole process bogs down. We’ve seen applications take over a year, and we’ve seen applications complete in a few week. You will also need a VA form 10-2641, and be ready to take some time over it. Filling out forms is what public education is all about, so we hope you were paying attention in school. You can get this form from your doctor. On this form you’ll outline all the devoted tricycle riding you have been doing along with lots of other info about yourself. If you’d like to see a copy of the 10-2641, along with tips on completing it, contact Mike. Update: A customer of ours, Alfredo Lopez from San Antonio, has compiled a detailed presentation for wounded warriors on getting adaptive recreational equipment through the VA. Read it here. 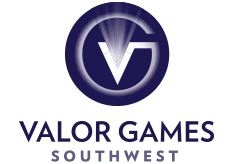 Valor Games Southwest – This is a multi-event Olympiad for wounded military, usually held in San Antonio in September. Register on their website. You don’t actually have to own a trike to compete, as contributing organizations like Operations Comfort supply some extras, but it is first come first served. There is a fitting and technical session the evening before the cycling events, and you can usually find us there, getting people sized on borrowed trikes and doing spot tuning on trikes athletes bring. Competing in this event on a borrowed trike is the kind of thing that looks real good on VA form 10-2641.